Qantas will include a Perth-to-London direct flight among its many routes in 2018. OPINION: As promising as it sounds, the prospect of non-stop flights from Perth to London might not be the success some people seem to believe. If you assume that the low end of the forecast is $9 million and you also assume that the flights are scrapped after 1 year then you are right Tim. I would call the $5m the value of a call option where you may get a benefit many times higher than the fee. It is certainly a lot better spent that the hit and hope tourism advertising $. Following the "logic" applied in this article by Mr Treadgold, there no decision/venture/innovation/commitment in life that could achieve optimal results...anything can be seen from the negative perspective. Unless you do nothing, so people cannot criticise; like for instance if this article was not written, nobody would stand against it. So perhaps, Mr Treadgold, following your logic, you should have saved your ink. Or just apply some modest optimism and act instead of judging..."facta, non verba!". Tim, this would have to be the worst opinion article I have ever read. Anyone who has travelled does actually come back and discuss that what we have to offer in our natural beauties (there are places beyond St Georges Tce you know) is second to none. Also anyone that has travelled always says the least amount of stop overs the better because Airport Terminals are wastes of time. Your negativity about Perth and regional WA is appalling and your financial balancing opinion is also frought because the Govt is spending $14M once and on my calcs based on your comment with at least 3-4 years out of the T3 that equates to $27-$36M return so go figure. And $14M today is not much in a Govt spend (where did someone justify $40M for a new railway station on the Mandurah railway???) I would be keen to read other responses to this opinion article - I am dumfounded when I have read others from you and never been compelled to respond as I have this time. Of course it will have to prove successful, but Qantas are doing it with a new aircraft that every other airline is touting as a wonder machine and of course it puts Perth on the tourism map - it can only be a positive thing for WA at a little cost. This is the most positive economic news for WA in 2 years and you spin out a negative article. The research and data would indicate that European travelers are more interested in long haul direct flights and would chose not to travel than have a stop over. It is the same as Sydney or Melbourne direct to LA - yes it's a long flight but it is direct and preferred by most. The new aircraft are higher comfort with two refreshment bars in economy & business class. Furthermore, there are the vast majority of Aussies that would rather bypass the middle east and fly direct to Europe from a connection to Perth. Perth to London Direct Flights. WA and its many attractions have a very long way to go before they will even get close to being attractive when compared to visitor amenity and competitive cost with our competitors. Labour cost and penalty rates, restrictive trading hours, cost of internal WA air fares, seasonal challenges in the north and the list goes on. Nothing wrong with the product but an awful lot to be done in the competition and service stakes. Agree with the other comment regarding comfort, long time to have your knees in the back of the seat in front of you. Perth to Sydney is painful in cattle class. At last, an informed skeptic. At last, an informed skeptic. Imagine being stuck in the same economy seat for 18 hours with oversize neighbours and the seat in front pushed right back. At least with a flight-break you get the chance of a better situation on the other leg of the trip. Mr Treadgold, to spend $14mil. and get $9mil.PER YEAR return is quite lucrative I would think. It will depend on how soon Qantas will add Paris, Frankfurt and Rome to the list, but that would increase the incoming - and outgoing tourism. So why being pessimistic about a project that is not undertaken by any other airline, like Cathae, that has more money than Qantas. Knocking for the sake of knocking, does no one any good! The current alternative to a non stop flight is that you get off the plane (stretch your legs for 10 mins) to sit in a seat at (Singapore, Dubai, Doha) airport for 1.5 hours - then sit in a different seat at the gate for 30 mins, to wait to get back on the plane to seat back in a seat. In my view (as a regular traveller to Europe) the option of a non stop fight (albeit 17 hours in the same seat) could be valuable to the Perth economy and attractive to individual travellers. It is $14 million invested once that will generate $9 million each year! Great to hear Qantas flying Internationally from Perth. Issue I have why do we need to spend $14million of WA tax payer money to modify a domestic terminal when there is a perfectly good international terminal. 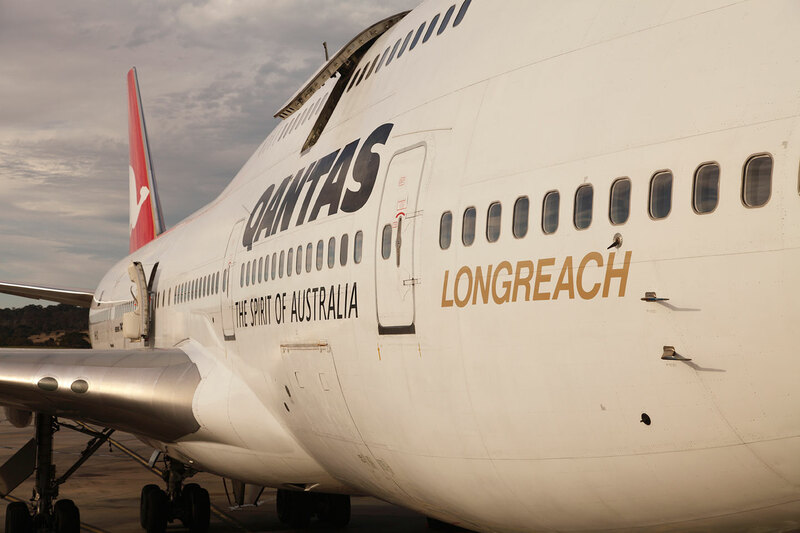 Also Qantas will relocating to the T1/T2 terminal location within the decade. Finally an article that says it like it is... I have frequently travelled to Europe through Dubai (in economy) and I can't image why I would want to travel direct for 17 to 20 hours. There are only so many movies you can watch and so long you can sit!!! Splitting the flight in two makes it seem a bit more manageable. Being in one seat for 17 hours is insane! I also mentioned this to a few of my friends and family members in Europe and suggested that next time they come to visit Perth they will be able to travel from London direct. Their response was - NO WAY!!! Unless you live in London, you will still have to change flights if you are coming from different country in Europe. So for example, it's much easier to travel from Vienna to Dubai to Perth and you get to stretch your legs half way and avoid DVT. This is only anecdotal evidence, but I suspect that this flight will only make sense for business class / first class travellers, not regular people / tourists. The only reason I would use this flight is if it's *significantly* cheaper to travel this way as opposed to travelling through Dubai. Tim Treadgold should stay with his comments on mining, of which he is competant and try not to knock something that has the strong possibility of having value. It is very easy to be negative, as one finds frequently in the press of late and invariably (as in Tim's article) biased against the State Liberal Government!